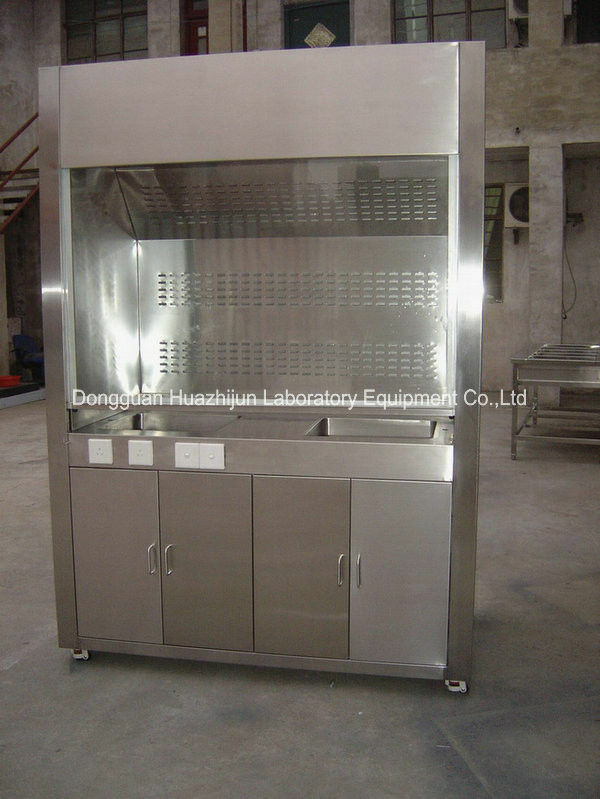 1.Fume Hood (fume cupboard & fume cabinet):Exterior materials: Quality ventilation cabinet were made of 304 stainless steel plate. 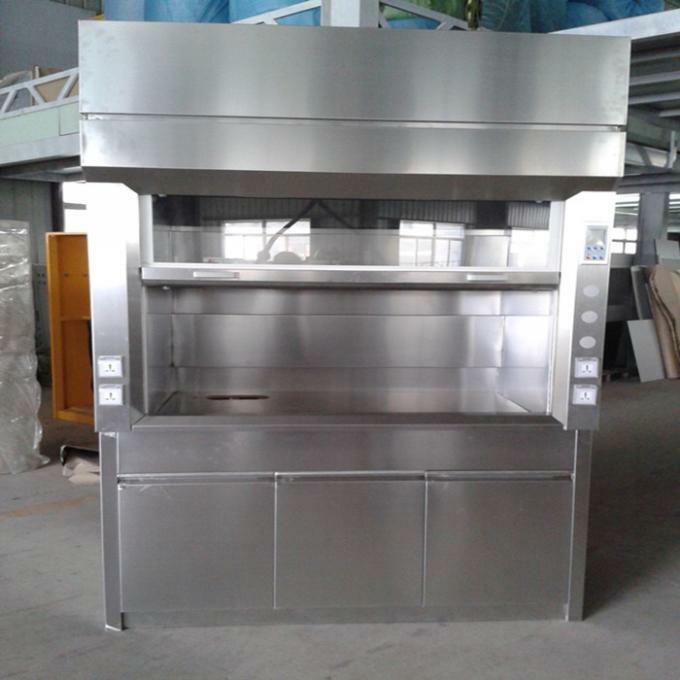 2.Interior materials: All interior surface of fume hoods are made of chemical resistant plate, it was developed to have excellent chemical- resistance and anti high temperature. 3.Sash: The full view vertical raising sash is manufactured of laminated safety glass with the sash set into an extruded, low turbulence PVC track that delivers smooth operation and steady sash positioning. 4.Worktops: Equipped with phenolic resin, epoxy resin, stainless steel board or ceramics to meet your specific needs. 5.Baffles: Made up of three parts, which can make the exhaust controlled and take away. 6.Lighting: 30W lighting and switch, which can make the worktop to have the 450LUX lighting standards. 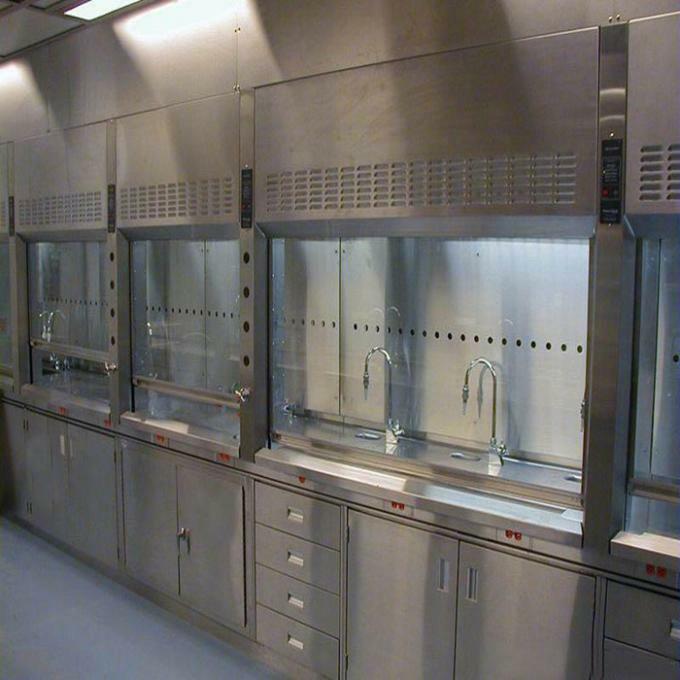 8.Lab fittings: Equipped remote control valve and cup sink. 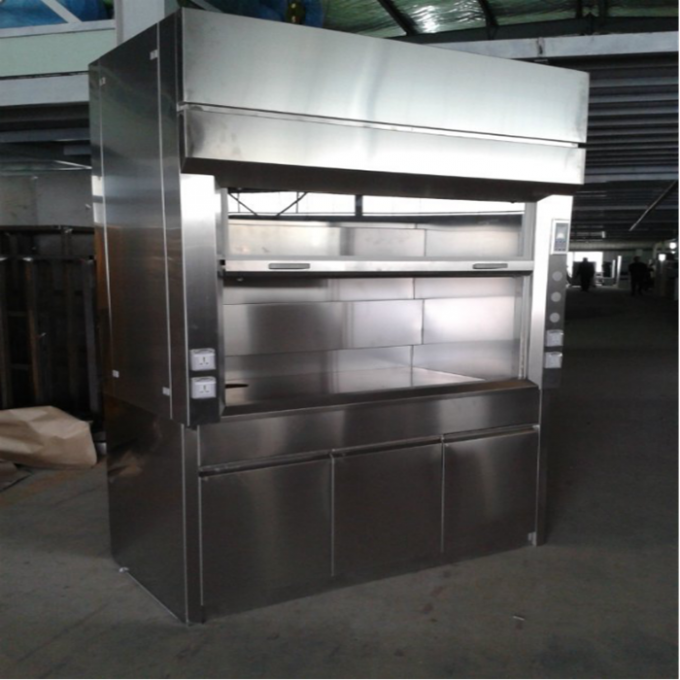 9.Exhaust system: The exhaust collar connects the fume hood to the exhaust duct. 10.Depending on the fume hood size, there may be one or two collars of either 200mm or 315mm diameter. Operation table board: acid and alkali resistance, anti-moisture. Impact resistance, 12.7mm thickness chemsurfchemical-resistant laminate with 25.4mm edge/Trespa panel/Epoxy resin /stainless/ceramics as desktop. Window: 6mm thickness steel safe glass, balancing form elevation and subsidencei, it can be stopped at any position by pulling. Handles: 304 Stainless steel handle. Lighting equipment: 20W*2 antisepsis daylight lamp, lamp house is insulated with gas. Lightness on table not lower than 400LUX. Κίνα καλός ποιότητας Έπιπλα εργαστηρίων χημείας προμηθευτής. Copyright © 2017 - 2019 chinafumehood.com. All Rights Reserved.